I can’t believe it’s already been a month since we were in France. Time flies by so fast it’s scary. 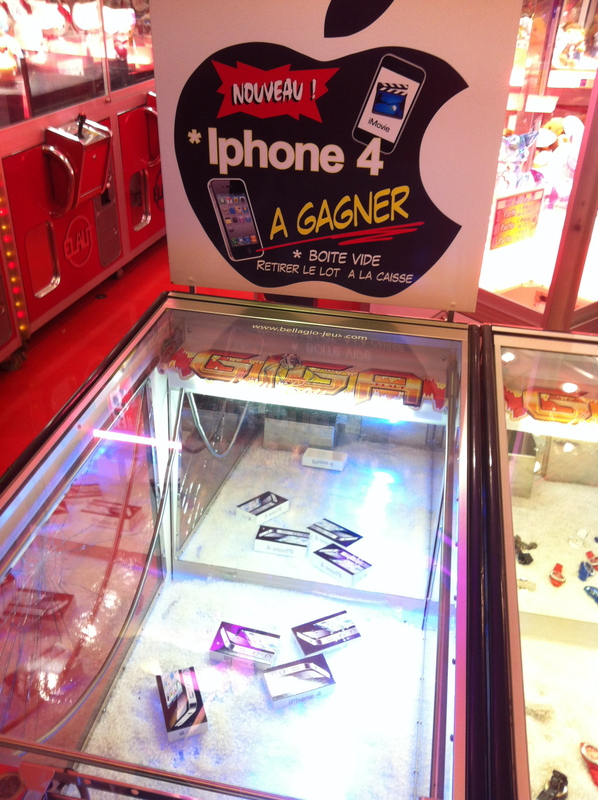 Now that I’m fully immersed into the daily grind again I find myself reflecting on our trip to France quite frequently. It was such an amazing experience and one day in particular really stands out in my mind. 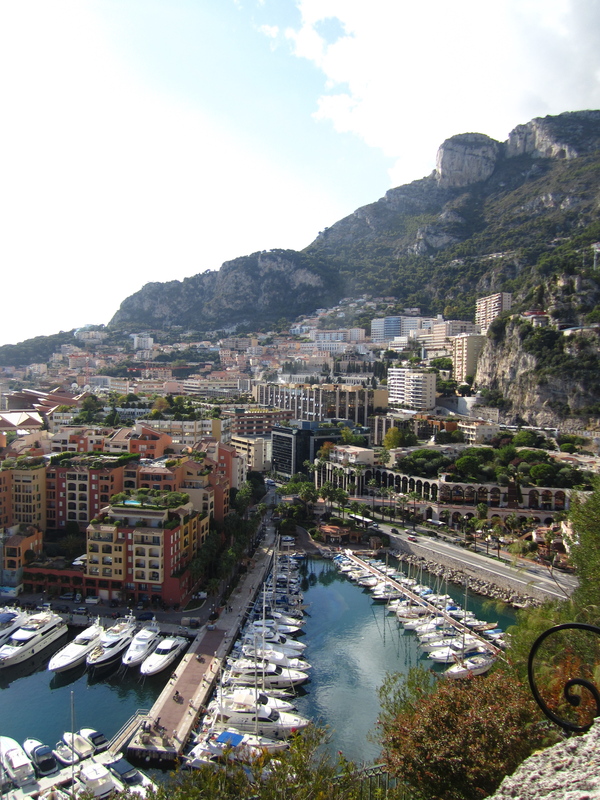 Here is my recap of our day in the most opulent city I’ve ever been to, Monaco. After such a dreary day yesterday we woke up to amazing weather. In typical Sellers’ fashion we stayed up almost all night and barely made it in time for breakfast…just in time for closing in fact. We convinced the waitress to let us partake in some of the buffet and fill up on some morning cappuccinos. This was definitely the best breakfast buffet we’ve had so far. 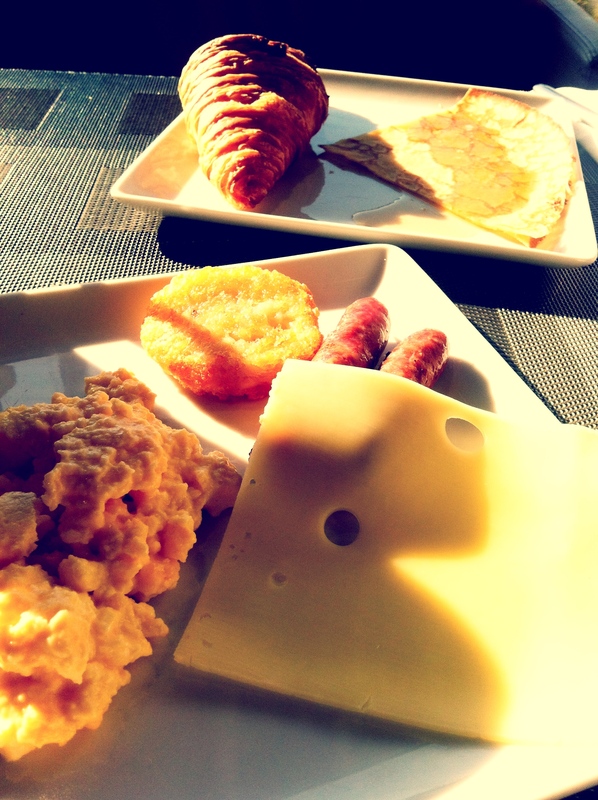 I definitely win the award for most random breakfasts this entire trip. I’ve found a way to combine everything from sandwiches and scrambled eggs, to crepes and hash browns. Yes my taste buds know no bounds. It was scrumptious! We made our way to the train station and got to see more of Nice along the way. The main road to the train station was lined with shop after shop from record stores (yes I couldn’t believe I saw one) to big names like Zara and H&M. **Mistake: Not buying clothes from H&M!! In my ignorance I thought, “no I shouldn’t waste my money in stores we have in the US”. Wrong – the clothes were so different and sooo cute. Le sigh. You live and you learn. 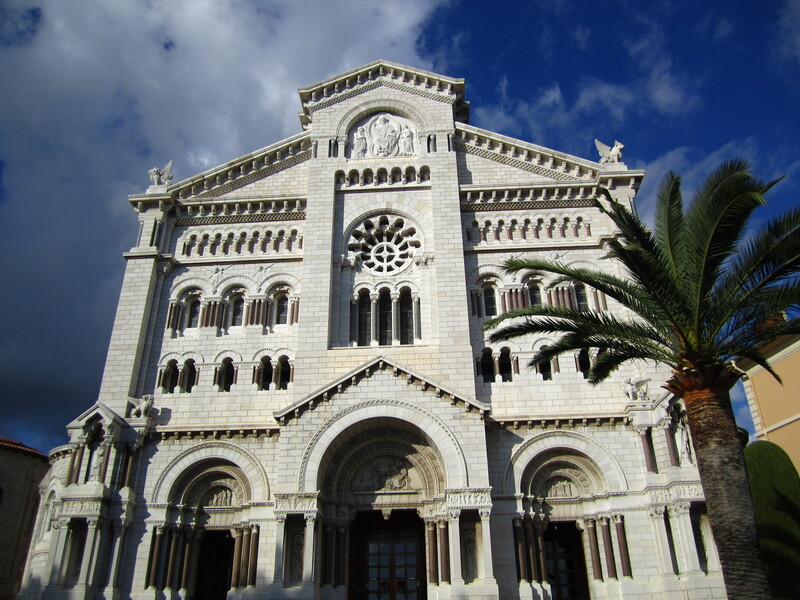 The beautiful thing about Nice is you are 30 minutes from Cannes and Monaco. 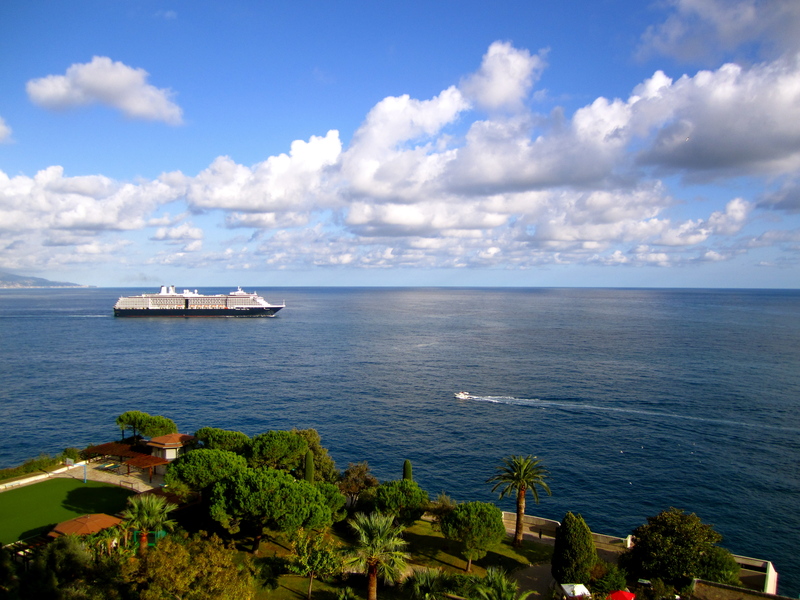 It’s so easy to hop on a train and take day trips to the most beautiful sightseeing in the French Riviera. 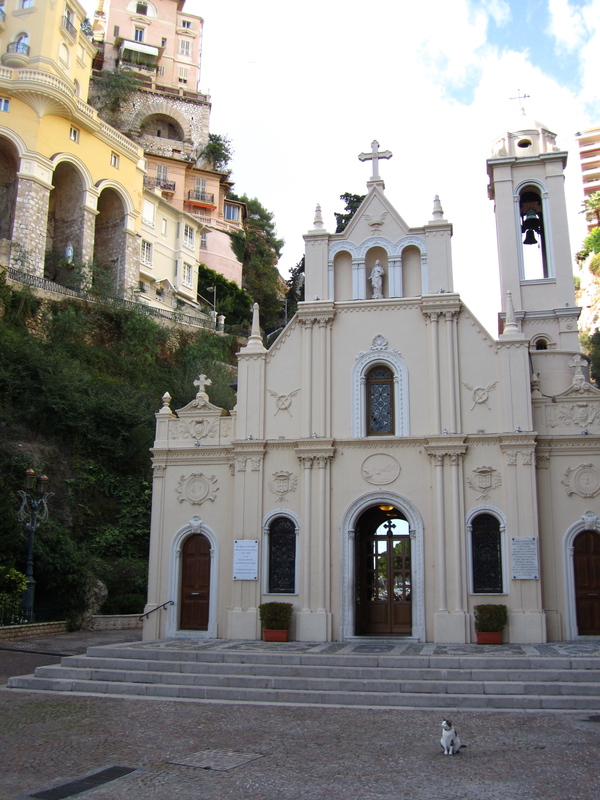 When we arrived in Monaco the first thing I noticed was how immaculate and clean the train station was. In Nice there were cigarette butts littering the tracks and plants that needed to be bathed from being kept hidden under the glass dome above. 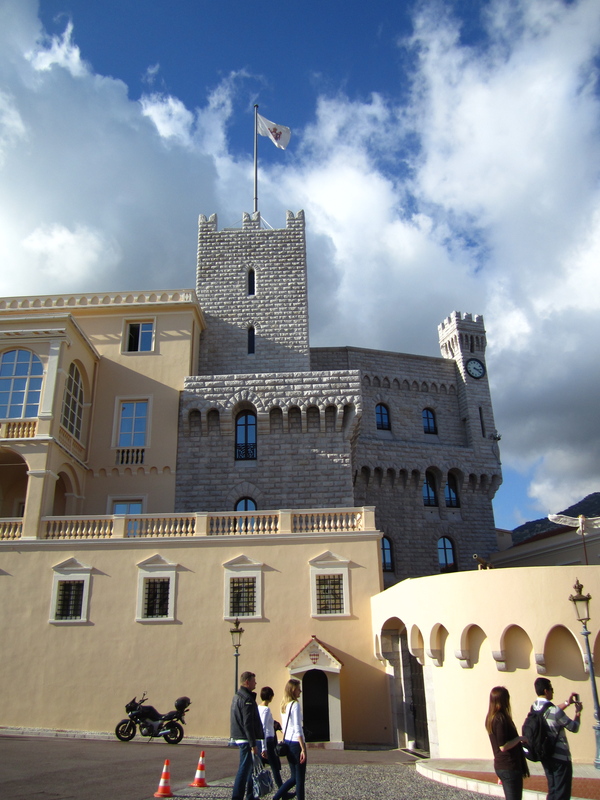 The Monaco train station was a beautifully built into the mountain with dark wood accents and lamps decorating the walls, and not a single cigarette could be seen on the ground. When you walk out of the train station you are immediately surrounded by mountains that overlook the harbor. 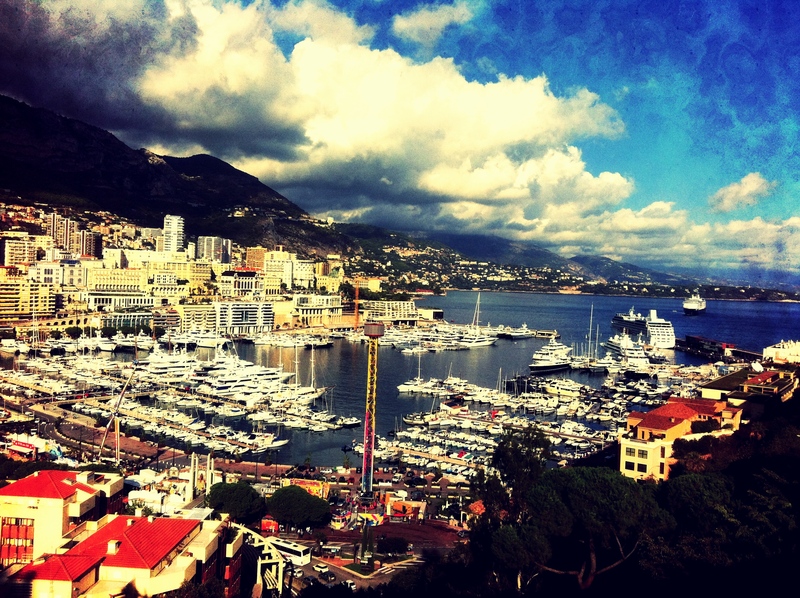 The harbor is filled with yachts that could fit my entire house times two. 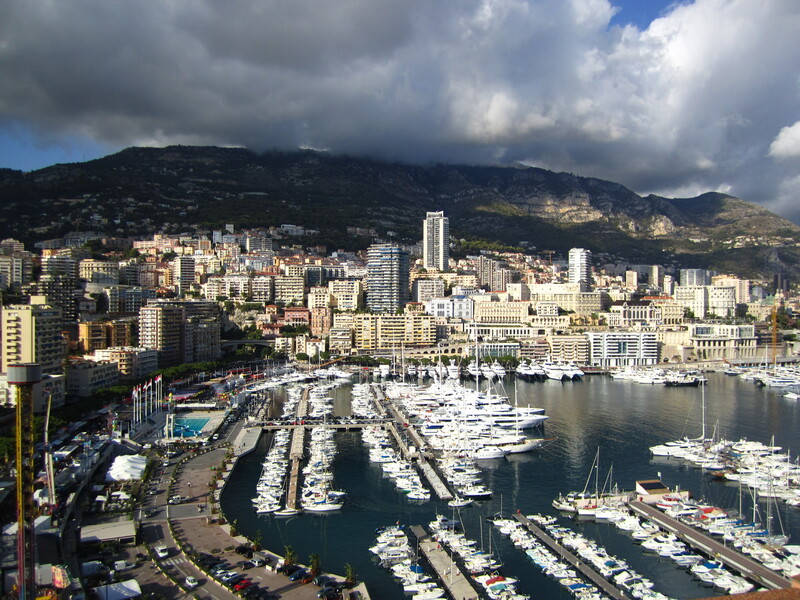 On one side is Monte Carlo and the famous casino and the other side is home to the incredible palace that overlooks the entire country. We decided to head towards the palace so we could get some aerial views of the country before the sun went down. On our way we stopped at the street fair on the harbor, and I can’t stress enough…this was not your normal street fair. When I think of a fair I think of the ring toss and stuffed animals. 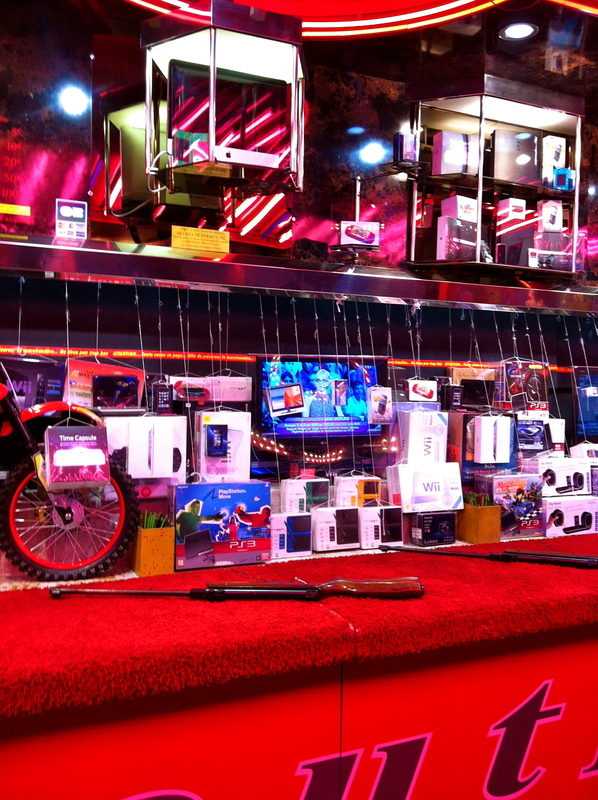 This had the same type of games but what they were giving away for prizes completely floored me…iPads, iPhone 4S, flat screens, Wii’s etc etc. When I say this is the most opulent place I’ve ever been, the fact that the street fair gives away extravagant gifts like these explains it all. 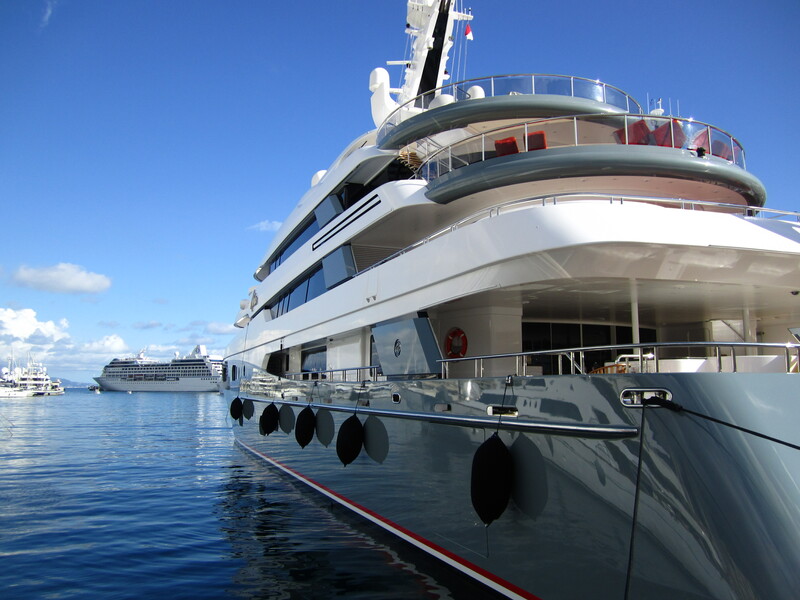 After visiting the fair we headed down to the docks to view the incredible boats and yachts that fill the harbor waters. It’s hard to describe how phenomenal these boats are in person. Not only are they massive but they really are quite beautiful. The wealth that envelopes this country is indescribable. We headed towards the palace through the quaint streets of the cities filled with boutique shops and sidewalk cafes. The stairs to the top of the mountain still had resemblances of the old passageways dating back to the 11th century. When we finally made it to the top (it looks worse then it is) it opened up into a completely different type of town. 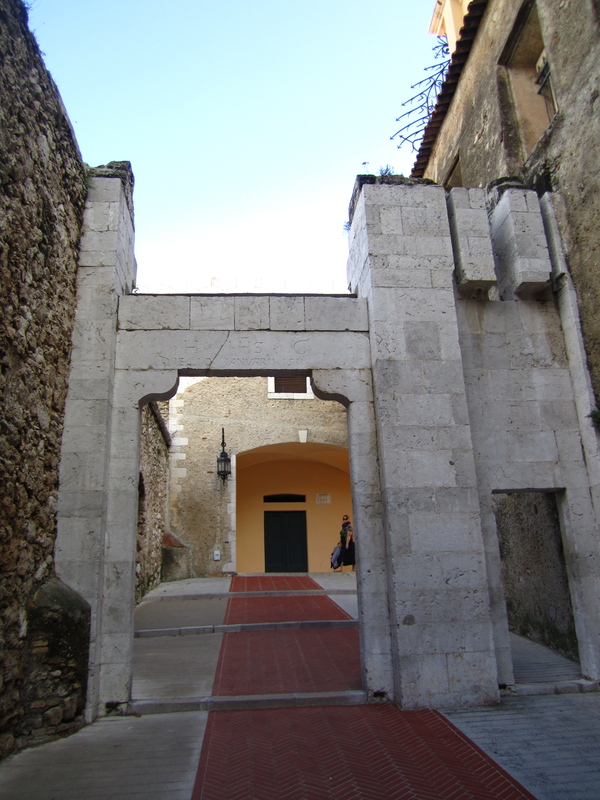 You could feel the history and it was visible from the winding narrow streets to the illustrious palace. 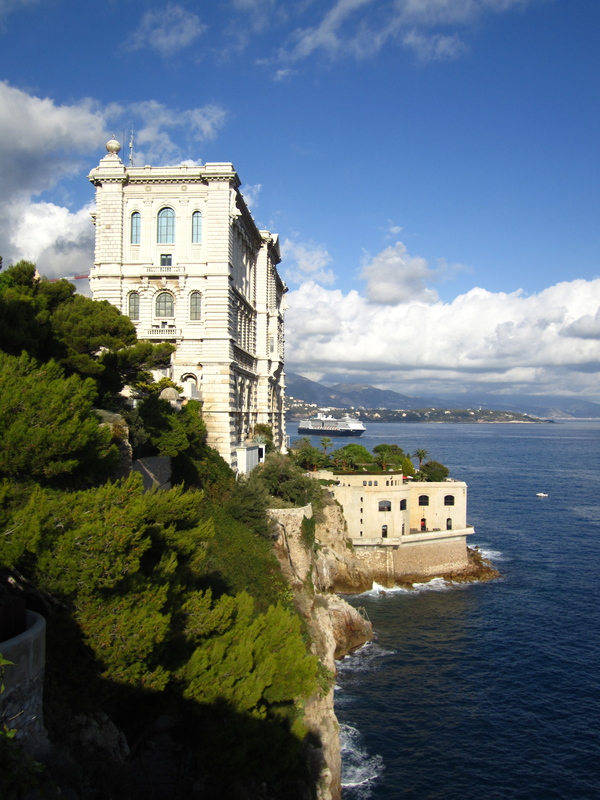 The palace is the home to Albert II, the Prince of Monaco. I was taken back by how “new” the palace looked. Since it’s been home to the monarchy for over 700 years it has gone through continuous renovations. 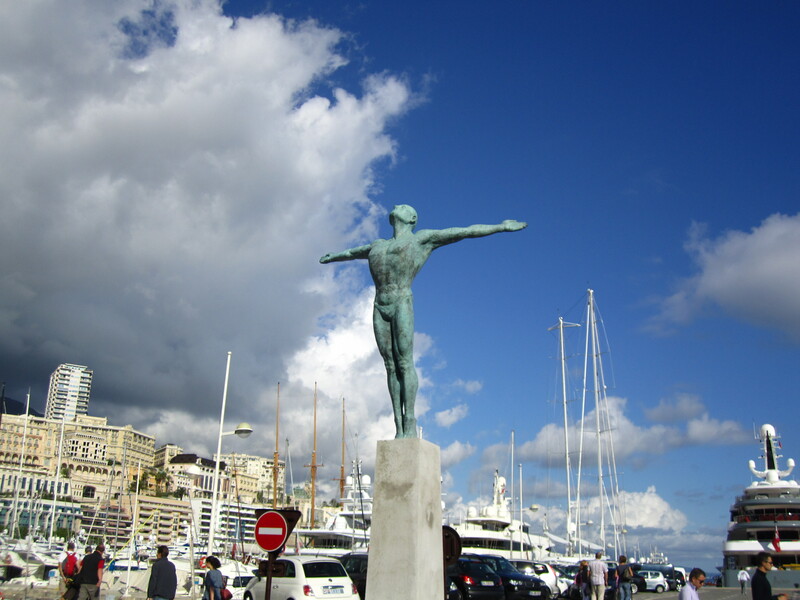 It has the most incredible views of the country, the main harbor, and the new harbor of Fontvieille. I think I took about 200-300 pictures from the same view, absolutely magnificent. We spent the next few hours walking around the old town area and taking pictures. It started to get a little late in the day so we headed back to the main harbor area for a snack and drink. 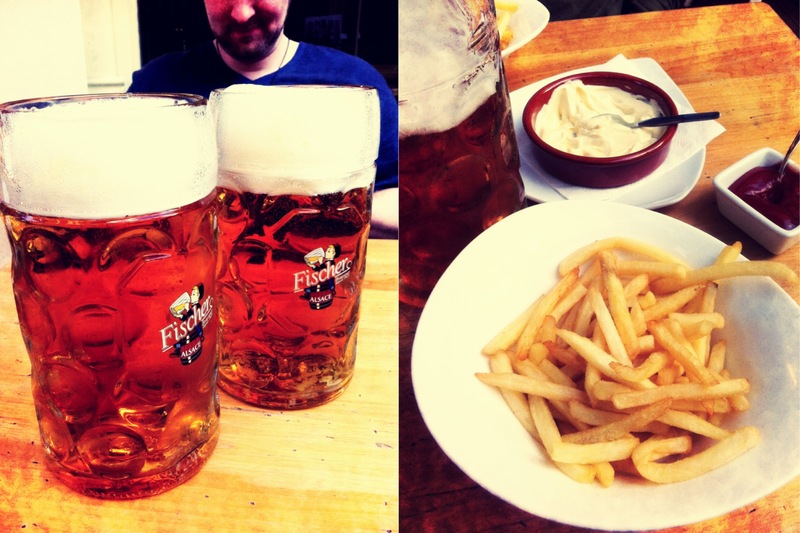 In the spirit of the French we ordered two sides of French fries and mayonnaise…the snack of the trip for sure. When we ordered our beer he asked if we wanted “the big beer”, and of course we said yes. 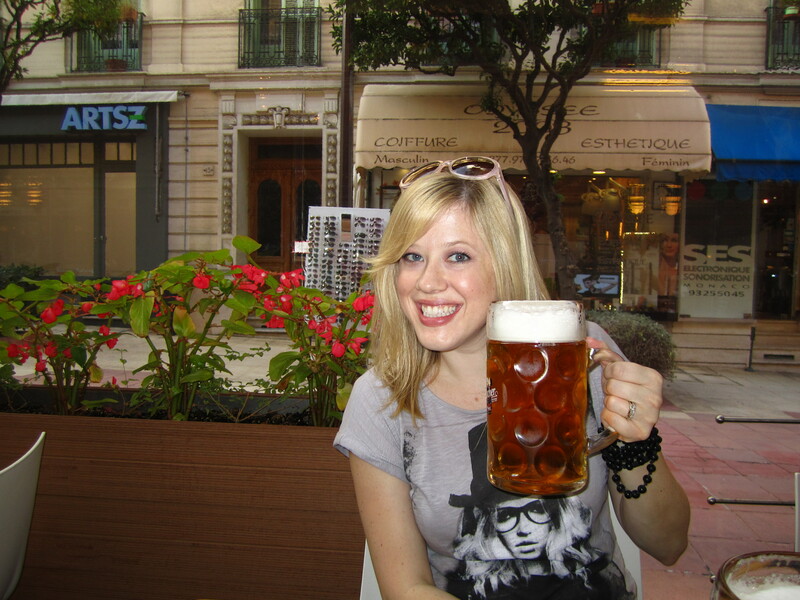 Not only were they big beers, they were the biggest beers I’ve ever had in my life…1 Liter each to be exact. I wasn’t sure if I was at Oktoberfest or in Monaco, needless to say I wasn’t complaining. After a few hours, liters of beer, and a bowl of French fries we made our way back to the station to check on train times. We so need at least one more day of exploring. Such an unbelievable place. We had a few hours to spare so we ventured to the opposite side of the country to check out the world famous museum. 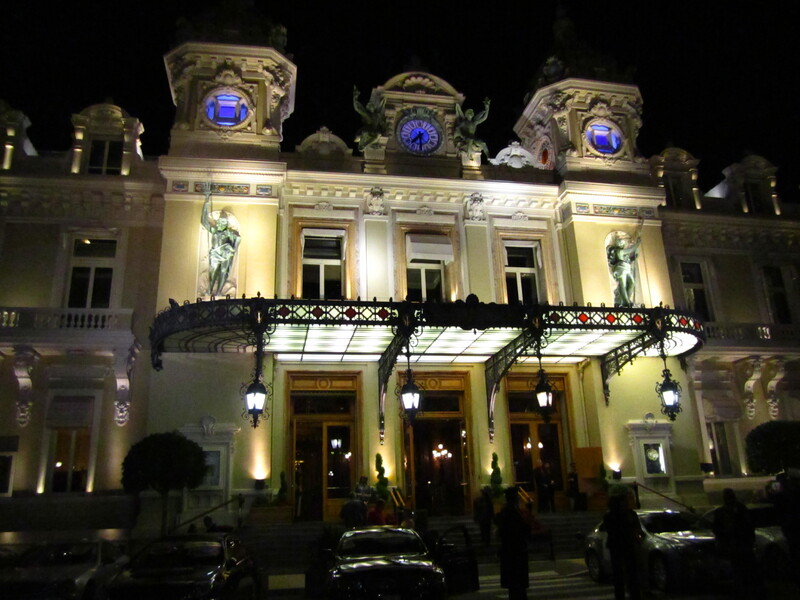 We walked up on what we thought was the casino but it turned out to be the Opera de Monte-Carlo. It was dimly lit and so haunting at night. Built in the 1800s, even in the dark it was unbelievably gorgeous. Finally we made it to the Casino and immediately knew we weren’t dressed for the occasion. The front of the building was lined with every luxury car you could imagine. From Ferrari’s to Maserati’s we now understood why the slot machines were housed in a completely different building. Out of curiosity we decided to go in and check it out. It was like something out of a Jame’s Bond film. From what we could see (we didn’t pay the fee to get it) the Casino was filled, table after table, with men decked out in tuxedos and suits gambling their millions away. The architecture was stunning and of course no photography was allowed. 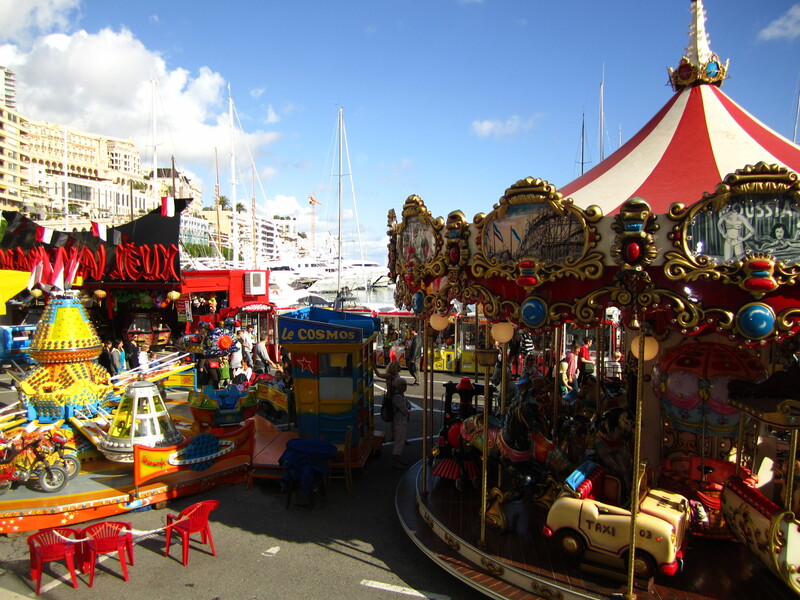 Our day in Monaco was more then I expected. 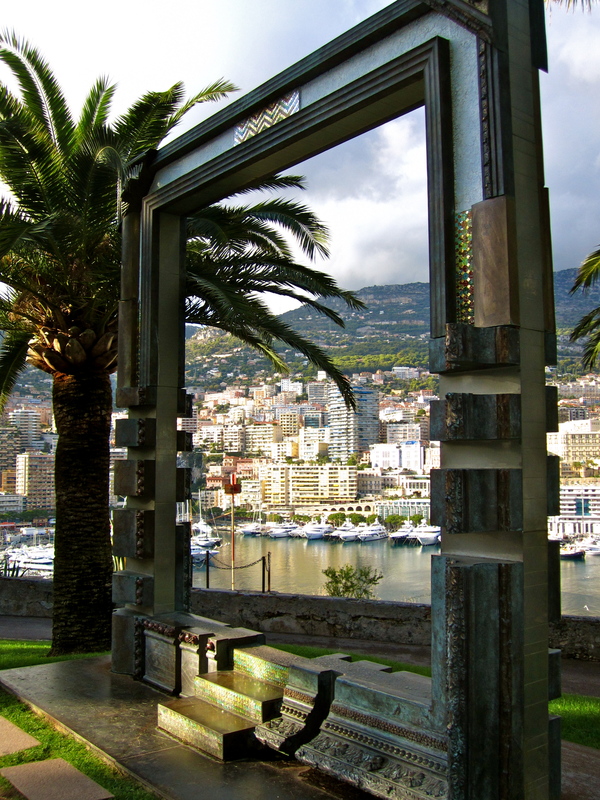 It was beautiful, decadent, and a must see for anyone traveling to the French Riviera. It was almost 10pm when we got back to Nice but thankfully the French are late eaters like us. We headed back to Old Town for dinner at yet another quaint sidewalk cafe (I’m seriously going to miss this). After a long day of hiking and walking around the entire country (it’s the second smallest country in the world, Vatican city is the smallest) we were craving something simple, Pizza. Up to this point we’ve gone all out for every dinner. Appetizers, entrees, dessert, etc. Tonight we just wanted to split a pizza and a bottle of wine. When we ordered our pizza the waiter looked at me for my order and when I told him we were splitting the pizza I thought he was going to kick us out on the spot. Apparently the French DO NOT split, and they have the ability to eat a large pizza themselves for a normal dinner (and stay stick thin)…I’m impressed. He calmed down once we ordered the bottle of wine and the salad…with dessert inevitably to follow. The food was delicious, simple, and satisfying. 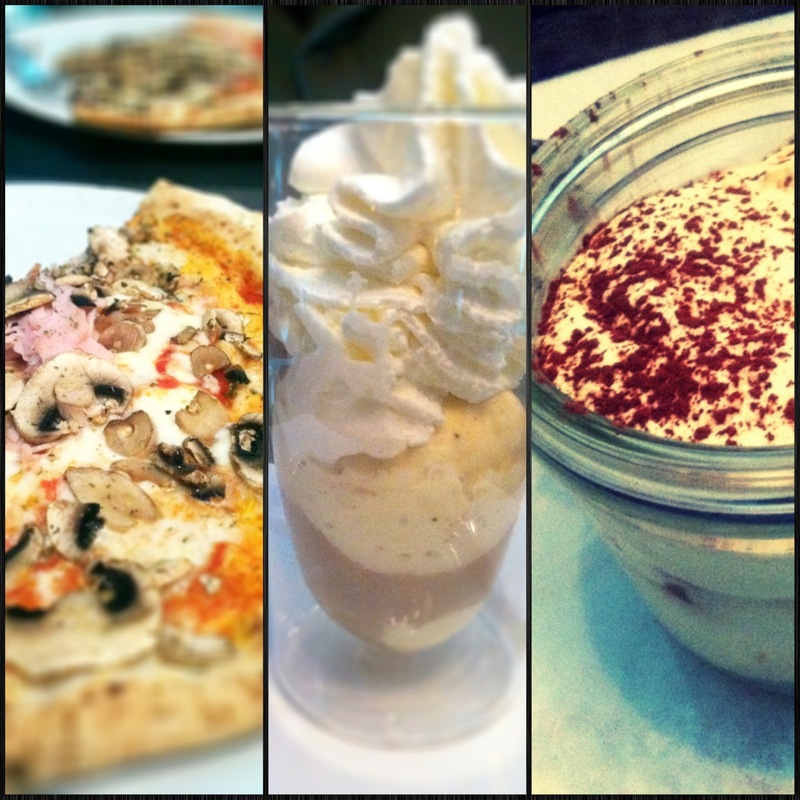 The pizza in France is thin crust, exactly how I like it, and the desserts at every restaurant have been mouth watering good. The cuisine is completely different in Nice then central France. 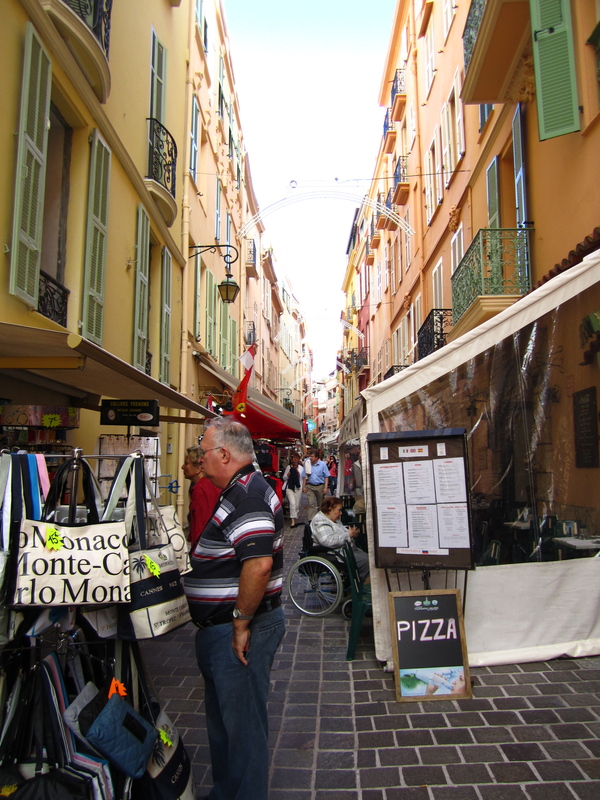 Nice is heavily influenced by the Italian culture so you get your fare share of pizza and pasta. Today was an amazing day. Sometimes it’s hard to believe we’re actually here and seeing all of these beautiful places. Tomorrow we’re taking the train to Cannes and yes I will be taking a picture on the famous theater steps!